Frank remembered himself in this 20-minute video of an autobiographical speech he gave to Cuero High School Honor Students last summer. You'll be surprised that he even talks about flunking out of Rice after going on a football scholarship; but, mostly, he talks about his wonderful life and how blessed he has been to be able to fulfill his dreams. I am greatly saddened to hear about Frank. He was a remarkable man. I shall miss him profoundly. I am sure you know, though I don't know that we have discussed it, that he really changed the way I look at the world, the way I think about how things work, and the notion of enquiry itself, at a very fundamental level. Frank was, for many, a little--make that a lot--forbidding. He didn't small talk; he had a fairly matter-of-fact demeanor; and he had a formidable vita. Put all that together, and lots of younger scholars and students were sufficiently in awe that they were afraid to approach him. I was lucky when I met him in late '82 or early '83, in that I always found him easy to speak with. I was so ignorant, I didn't know enough to be intimidated, so I felt free to approach him, not as some mythic figure, but as a fellow Texan. I happily asked him the most appallingly dumb questions, and he was generally disposed to answer them, or point me toward answers, with a straight face, kindly refraining from pointing out that I was appallingly dumb. No small talk, though, as a rule. One thing about Frank was that it seemed that he saw the world in no troubling shades of grey. Things were right or wrong, good or bad, or at least that seemed to me to be how he saw them. On one occasion, he compared the work of a few individuals using one of two phrases for each: "He's pretty good" or "He's a fraud." For some reason, that stuck with me. I don't know that I ever made it into the "pretty good" category, but I have tried to conduct my professional efforts and the way I think about things so as to avoid the "fraud" characterization. 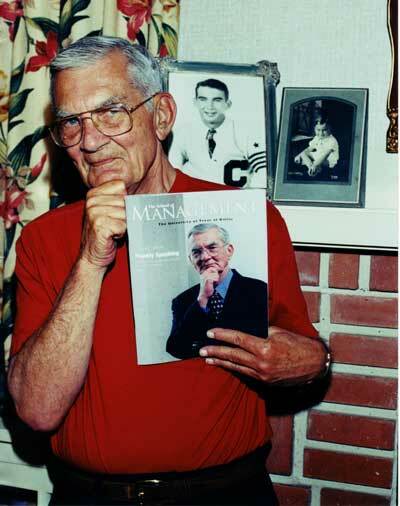 We could all write a lot, and add pages to Frank's obit, but it would only be for ourselves. Those of us who knew him and worked with him would have the same story, more or less; and those who didn't, well, they probably wouldn't get it anyway. On the day I received the sad news, I was actually lecturing in Malaysia to a group of Malaysian Airport's middle-level executives on the Bass Model, and I was receiving, as always, the "wow!" exclamation from the audience. A simple yet profound, beautiful yet useful, rich yet comprehensible model! Truly a masterpiece! True to its creator, Dr, Bass. When one entered the PhD program s/he would address him as Dr. Bass. A general understanding however was that after graduation the PhD graduates could start calling him Frank. But, to me he is always Dr. Bass. I tried a couple of times to get myself to calling him Frank but I could never do that with complete ease. The time period I spent with him as his PhD student and later as a co-researcher is the best part of my professional life. Dr. Bass is one of those few people who not only excelled in their professional careers but also stood out as noble human beings. He is a researcher in the purest sense of that word. I am going to miss him for ever. There is not a single day in my life that goes without thinking about him. Dr. Bass always believed that everything in the world should be explainable in simple words. To him, simplicity and clarity are two critical qualities of truth. His thoughts are highly infectious. I always remember his Texan accent when he would say "beautiful" on seeing a good marketing model. What a beautiful mind that he was! I am deeply saddened by the passing away of Frank Bass. I will indeed miss him. Frank Bass was larger than life and a mentor who never stopped caring about and nurturing all his students, nor ever stopped believing in their ability to make a difference through their research. I will have to learn to control the urge to send him a note every time I have a career achievement. No matter how small or how significant -- a major publication, tenure, an award -- Frank responded almost right away with a congratulatory note, expressing his pleasure at my achievements (and continued to do so right up until a few months ago). During the early years, I was in complete awe of him, and that almost made it hard for me to approach him. Later, I immersed myself in the �Bass Basement� courses. These typically started at 6 pm and often went all the way till 10 pm or 11 pm. Frank had this tireless energy and enthusiasm, and would just keep going, writing on the board, listening with great interest to our presentations of research papers, and the like. It was during those sessions, that I realized that behind that tough cowboy exterior was a warm, caring person. Starting in about 1996 till about 2001, he and I worked on four papers (three of which are published), and over this time, I learned much more about conducting rigorous scientific econometrics research from Frank than I did from anyone else or at any other time in my career previously. And, Frank, in turn, showed a keen interest in learning from me about the modern time-series econometrics software. 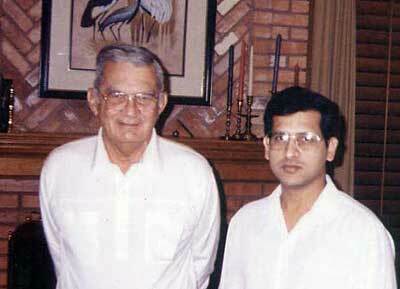 During the summer of 1997, I spent about 5 months back at Dallas when he and I worked extensively on our papers. He would frequently summon me to his office to be able to see for himself on his computer how some of these time-series econometrics software actually worked. He had a joy for learning that was contagious! Even today, when I give research seminars at schools and conferences, I frequently find myself speaking about Frank�s research philosophy � be it on the advancement of marketing science based on empirical generalizations, parsimony in econometric model specifications, falsifiability of models, and the like. I am also grateful to Frank for introducing me to and encouraging me to collaborate with an Alumnus of the Bass Basement, Mike Hanssens (& his doctoral students), with whom I have a promising and productive ongoing research stream using time-series econometrics. And, I also look back fondly on the introductory golf lessons, Frank gave BPS Murthi and me on the golf course in Dallas during Summer 1997. Once again, he was a great teacher, teaching us about the basics of a good golf grip and swing etc., but I am yet to find the time to put all of that into practice. One thing I truly appreciated about Frank was his �frankness.� He always told me the truth and that I appreciated, because I knew that I could talk to Frank on anything of significance and be sure to get a straight, no-nonsense answer. When you walked into his office with an idea, you almost knew right away what he thought of it, good or bad. One thing that most marketing scientists may not know about Frank was his love of music. My PhD student office in UT Dallas was right by Frank�s office, and I can almost still hear him cheerfully humming one tune or another, as he made his way back and forth from his office. Finally, in closing, I feel truly privileged and delighted to have known and worked with the legend that is Frank Bass. If there�s one thing that I hope I�ve learned successfully from Frank to be able to impart to future marketing scholars in turn, it�s his joy and fun in the pursuit of knowledge and in the advancement of marketing science. I sent this as a letter to Frank January 12, 2006. It was great to get your Christmas card, as usual, but the even better Christmas gift was to hear that your health is improving. That was a lift to all who have been cheering for you on the sidelines. One of my regrets in life is that my demands as a Dean kept me away from some things that I wanted to attend, including the most recent tributes regarding all you have done for your students. Happily, I returned to traditional academic life this past summer after nearly twenty years in administration. I love my new life!--it is what pulled me into academia in the first place. It is easier to write this than to say it, but you made as much difference in my life as anyone. I am what I am, in large part, because of your nurturing. For all of us who were privileged to study under you, we learned much--but much more than Eignevalues, Lagrangian multipliers, etc.--we learned about intellectual curiosity, model building from the ground up, but, most of all, we learned what it really meant to be a professor. You not only taught, but you taught by example--a vision that we could refer to during our careers. As a professor you quickly learn how much you do not really know, but the foundation which you gave all your students provided us with a confidence that lasted a life time. For many things in life, I am grateful--for my family, my friends, my country, and yes, for Frank Bass--the Professor's Professor. God Bless you and your family! To post a remembrance of Frank, please email.